« Julio’s Delicatessen is moving! If you’ve been following this blog for very long, you know that I’m a huge Rick Bayless fan. Rick Bayless is famous for, among other things, his frequent use of Twitter. He recently began a twitter recipe contest that involves him publishing a recipe via his Twitter feed (which is limited to 140 characters for those unfamiliar with the application). His fans can then make the recipe and send him a photo of the results. The 10 best responses in signed copies of his latest book, Fiesta at Rick’s. My longer version is below, but it is essentially identical to his tweet. 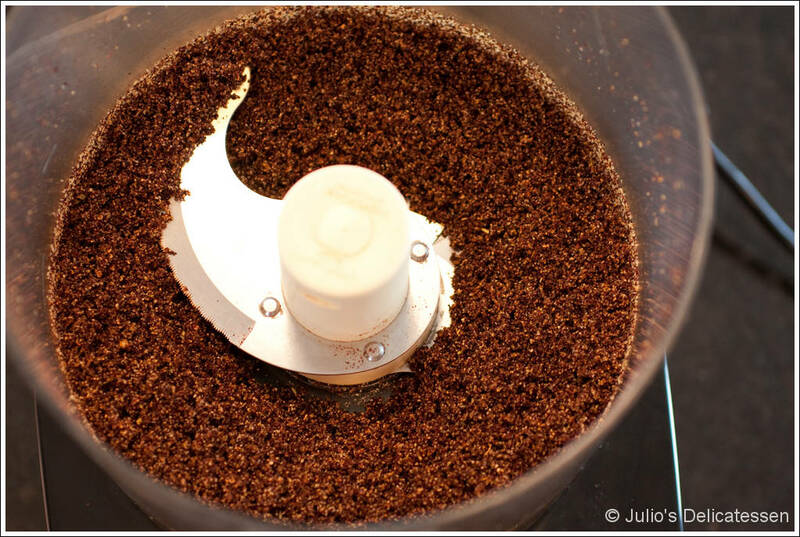 Prepare the dry rub – place all ingredients into a food processor and thoroughly combine. 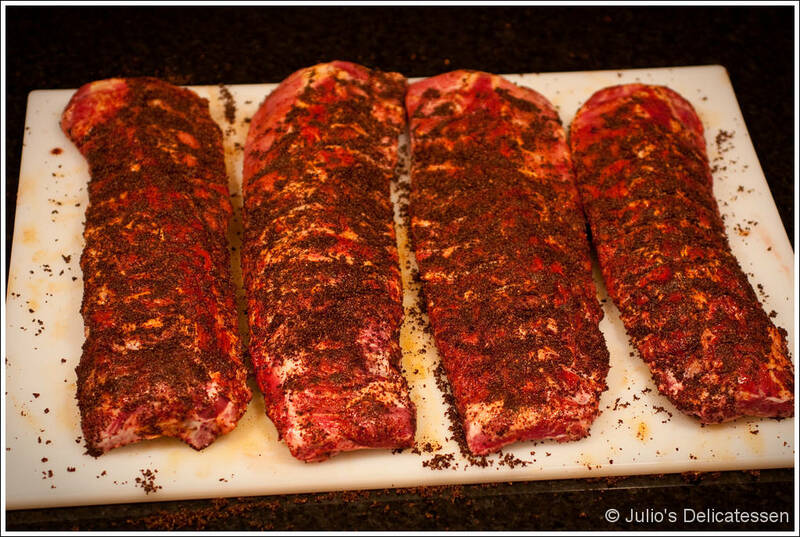 Season the meat – sprinkle the rub on all sides of the meat. Use your hands to rub it in to the meat, then cover and refrigerate overnight. 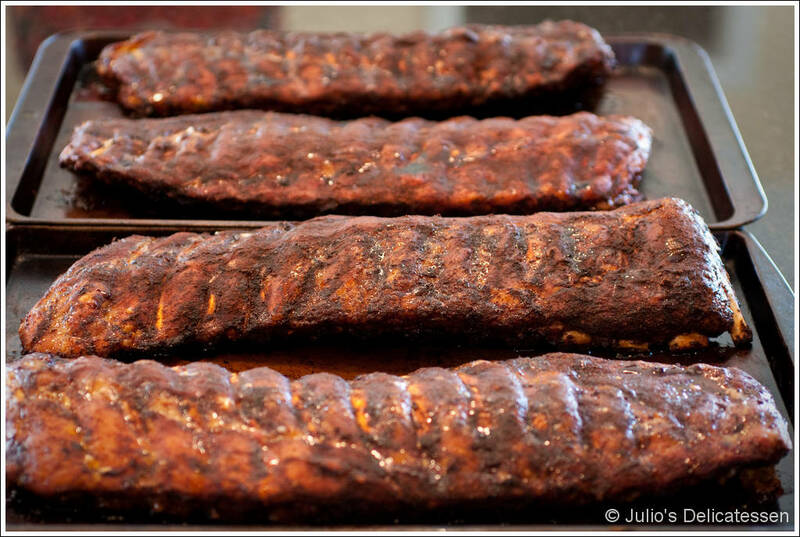 Prepare the ribs – preheat an oven to 300 degrees. 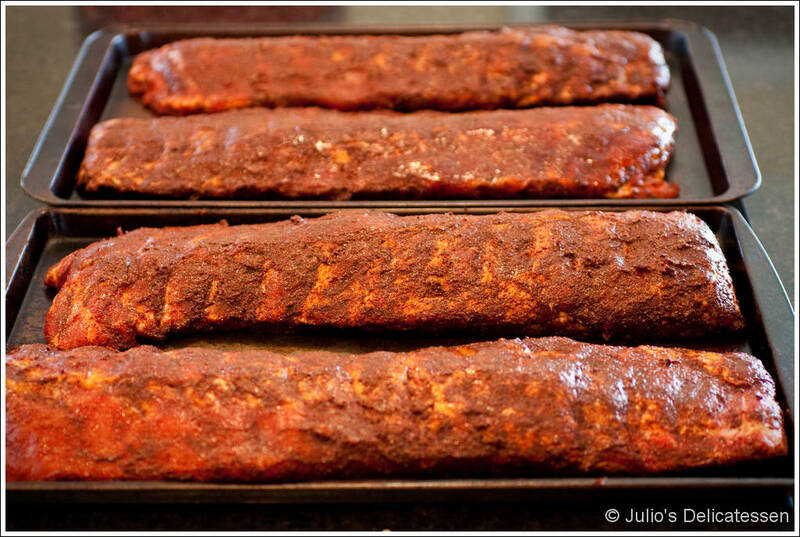 Place the ribs (using two baking sheets so you don’t have to overlap them) into the oven and bake until the meat is tender, about 75 minutes. Preheat a grill to medium-high heat (about 450 degrees). 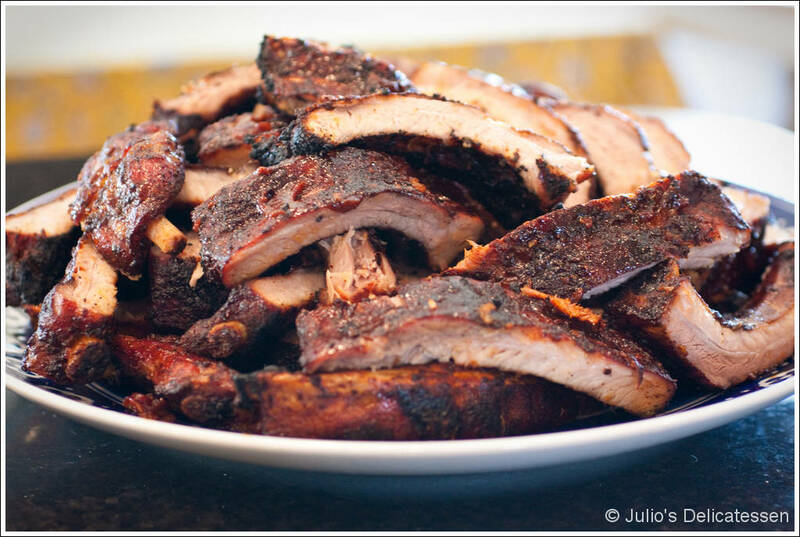 While the grill is heating, place the chipotles en adobo and the honey in a food processor. Blend thoroughly, then scrape into a bowl. 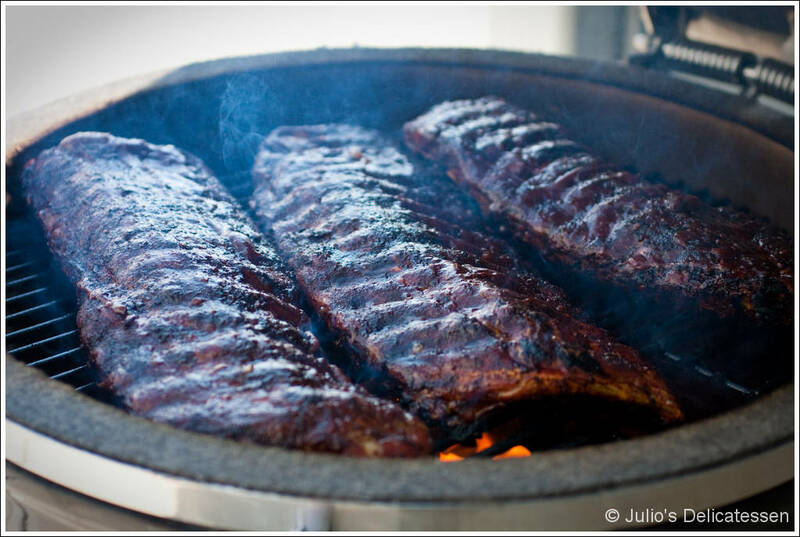 When the grill is hot, place the ribs on the grill convex side down. Heat for 2 – 3 minutes until hot and well browned. Flip, then use a brush to coat the convex side with the chipotle-honey glaze. Continue to cook for about 7 more minutes, until the glaze begins to brown slightly. 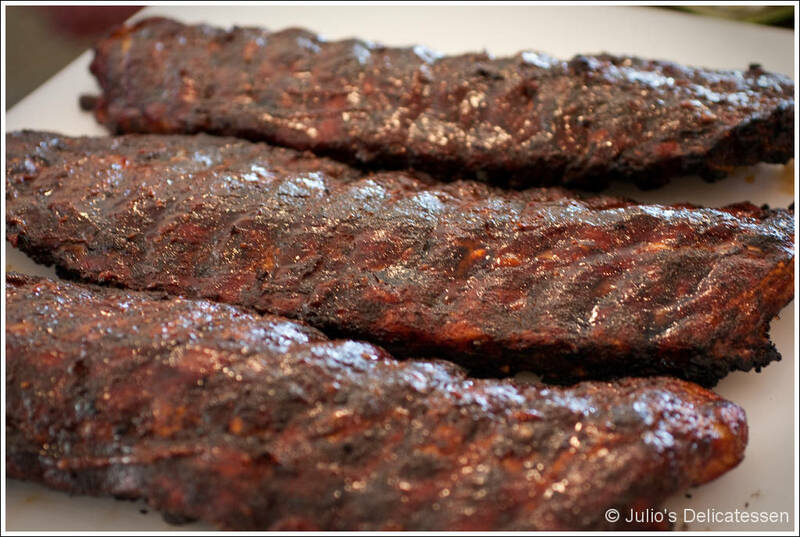 Cut the ribs into smaller sections or individual ribs and serve immediately.